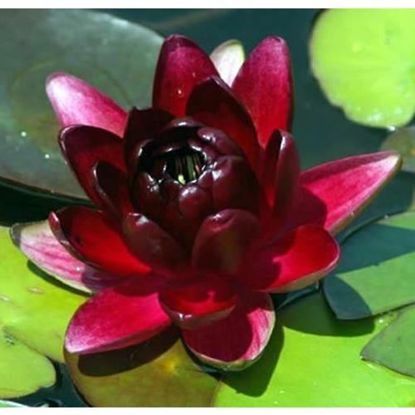 Almost Black waterlily features deep red flowers that are nearly black at the center. This hardy water lily is very free flowering and and is very popular for its enticing looks. 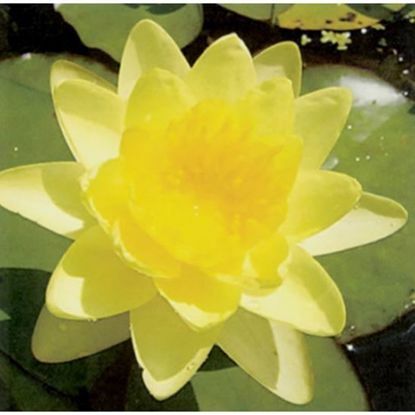 The Chromatella water lily is a very free flowering water lily with canary-yellow fragrant flowers 4" to 6" across. 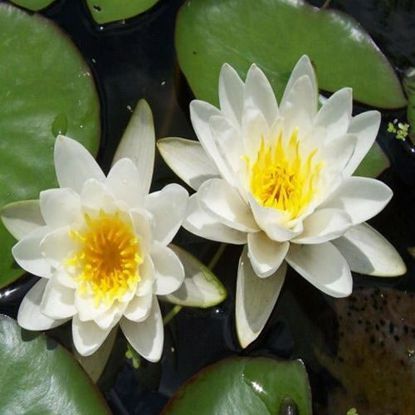 The Queen of Whites water lily is a very free-flowering variety with cup-shaped blossoms that are pure white. It was hybridized in Australia by Gedeye in 1970.